While some welcome the $5000 note with open arms, others seem to be quite skeptical when they consider its possible implications on the economy. The new note comes into circulation on December 9. A Partnership for National Unity’s (APNU) Shadow Minister on Public Works and Telecommunications, Joseph Harmon, believes that there is both good and bad in introducing the note. Carl Greenidge, APNU’s financial point man firmly asserts that the new note will only serve to be beneficial for the national economy. There is no reason for one to worry about the circulation of the new note, he added. As it relates to the issue of counterfeiting, the Member of Parliament said that it would be very difficult to do so as the note has seven security features that are internationally recognized and are there to protect its integrity. This contention was also supported by the Deputy Governor of the Bank of Guyana, Dr. Gobind Ganga. Inflation is the process by which the value of goods and services rise over time. If the value is rising overtime, then the currency in which goods and services are traded, will lose their purchasing power and a motor car which costs $100, will cost $120 over time. 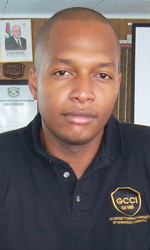 The Georgetown Chamber of Commerce (GCCI) has also expressed its support for the new denomination. 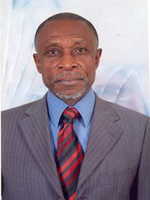 However, the Chamber expect that prices on the local market would increase because of the new note since the Central Bank Governor, Mr. Lawrence Williams at a seminar in 2012 guaranteed that the new note is only intended to shift the heavy reliance from the $1000 to the $5000 note. Mr. Williams had also informed from an historical context that inflation decreased when larger notes were introduced into the economy. The Governor added that significant savings will be made when the new note goes into circulation. He said that it costs the central bank between $600 million and $700 million to print current notes. 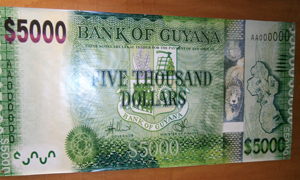 The new $5,000 would reduce the volume of notes being printed. As it relates to the electronic purse, Greenidge said that the reason why large businesses like to deal with cash is so that they can evade taxes. The issue of the new dollar note was not meant to solve that problem.